Morfeus studios Hotel consists of two buildings, one of 15 studios at three levels and another with reception area at its ground floor and a studio-apartment on the first floor level. 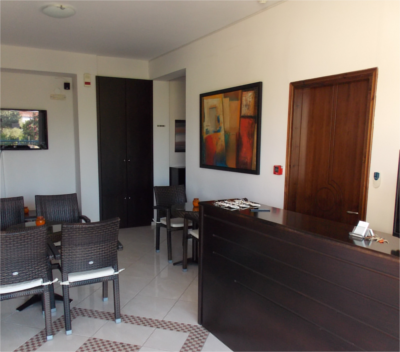 The reception area and the call center operate 24 hours.The reception area with air-condition and a 42” inches plasma screen offers the possibility to the guests to follow the seasons sport events enjoying his drink or greek coffee in a modern and comfortable environment. 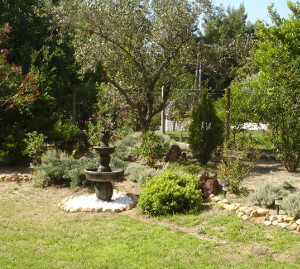 All the rooms have view to the garden which combines colours and aromas from Mediterranean nature trees and plants. Little fountains, discreet lighting define and complete the surroundings. Family owned and handled its owners are ready to provide you with useful information about the hotel facilities, solve any problems you might come across at their appearance as well as provide you with useful information and suggestions about food, dining, clubbing and shopping.